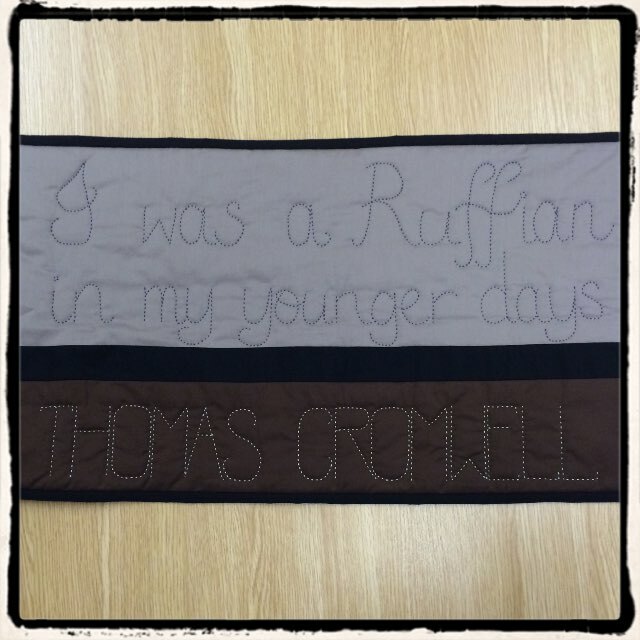 Hilary Mantel – is there room for me to sew? I grew up reading a lot of historical fiction. From the age of about ten, I devoured novels by Jean Plaidy, Margaret Irwin and Margaret Campbell Barnes, and particularly enjoyed their books about Henry VIII. I had an especial fondness for Jean Plaidy’s Murder Most Royal and Brief Gaudy Hour by Margaret Campbell Barnes. Both books were about the rise and fall of Anne Boleyn and both featured a villain – Thomas Cromwell – who tortured musicians and brought down queens. My early ventures into reading Tudor fiction meant that I always thought of Cromwell as a Very Bad Man. But in April 2009, a new book was published and this book changed my viewpoint completely. This book featured Thomas Cromwell as its central character: Hilary Mantel’s magnificent Wolf Hall. As Mantel’s hero (or should that be anti-hero? 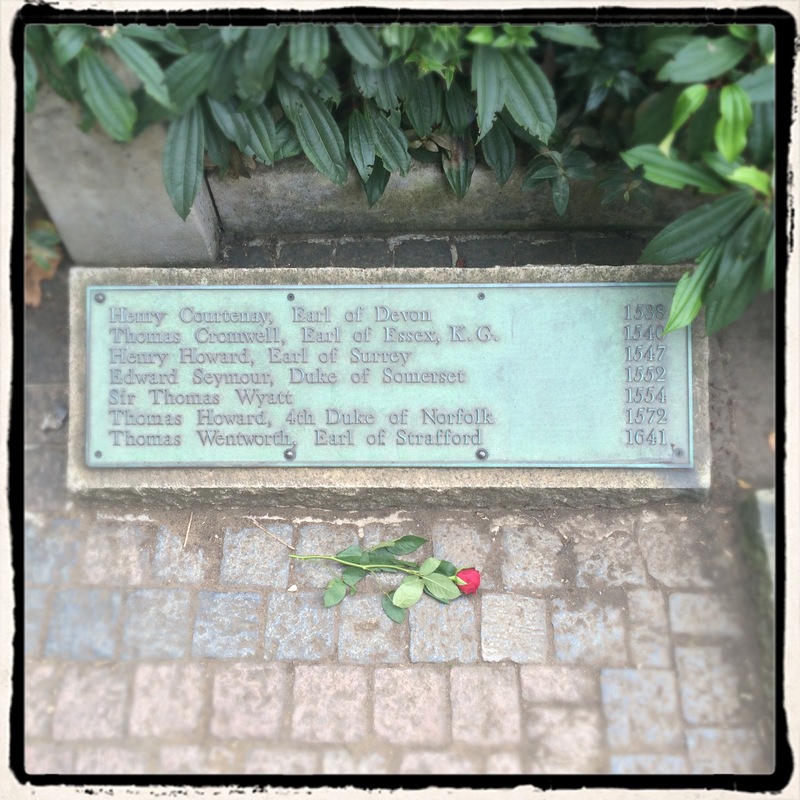 ), Cromwell is witty, charismatic and slippery, loyal to his friends and ruthless to those who cross him. A devoted family man. A patron saint for administrators, archivists and minute writers. And a man who knows about cloth. Re-reading Wolf Hall recently, I was struck by the number of references to textiles, and how beautifully they are described by Mantel. Velvets, brocades, silks, wool, sables, satins all burst from the page. Cromwell’s wife, Liz, does “a bit of silk-work” and complains about “the price of thread.” Their sheets are of fine linen and they sleep “under a quilt of yellow turkey satin.” In one of my favourite scenes, Liz embroiders shirts for their son Gregory “with a black-work design; it’s the same one the queen uses, for she makes the king’s shirts herself. ‘If I were Katherine I’d leave the needle in them,’ he says.” In this world, sewing is a weapon. Does Anne Boleyn pull the stitches out of her sister’s embroidery? How can his niece’s “awkward little backstitch” be used to protect Cromwell’s letters? Will a book of needlework patterns wrapped in kingfisher blue silk be taken from Jane Seymour? Who will unpick embroidered pomegranates, representing the badge of Katherine of Aragon? As readers may have guessed, I know the text of Wolf Hall very well. It’s my favourite book, and as well as reading from the page, I find the excellent unabridged audiobook, read by Simon Slater, the perfect sewing accompaniment. 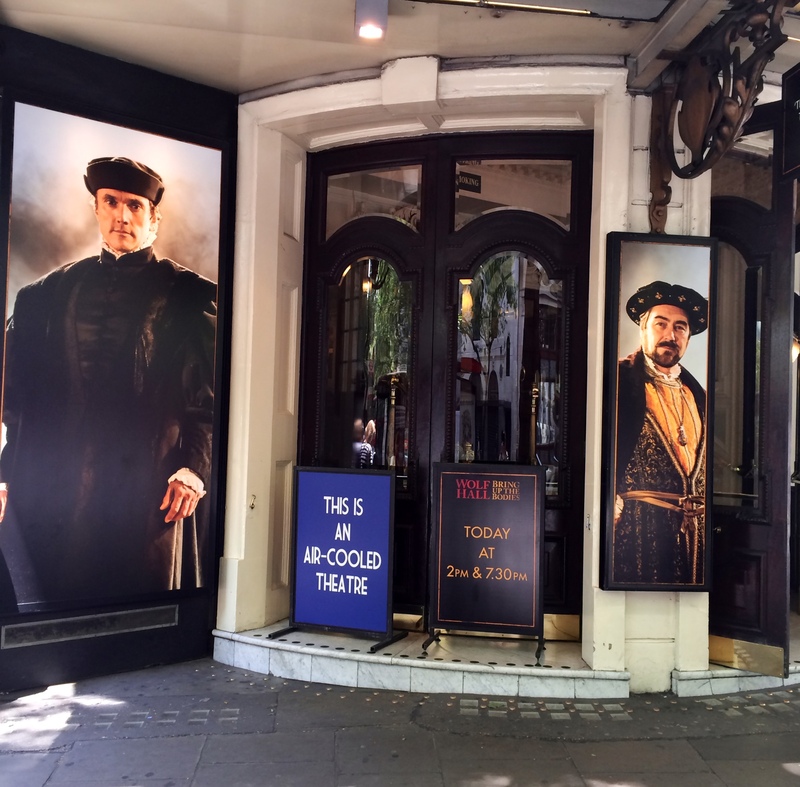 And in 2014, my enjoyment was enhanced even further by the magical stage adaptations of Wolf Hall and its sequel, Bring Up the Bodies, developed by the Royal Shakespeare Company and Playful Productions. 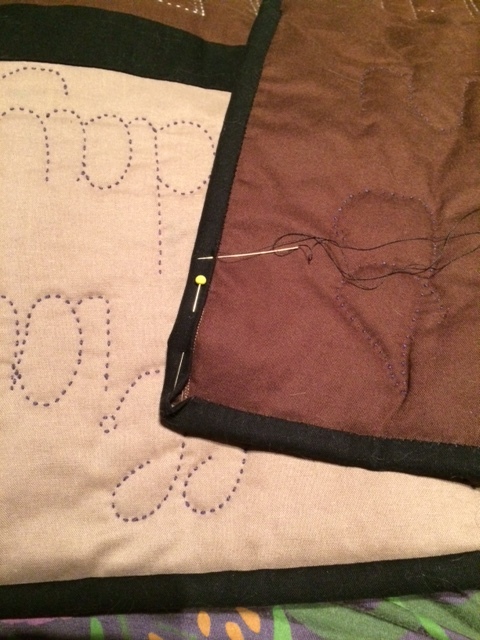 I was lucky enough to see the plays in both Stratford-upon-Avon and London, and was so swept away by them that I simply had to sew something. Mantel’s Notes on Characters, written for the plays, say of Cromwell: “You don’t say much about your past, but you tell Thomas Cranmer, ‘I was a ruffian in my youth.’ Whatever this statement reveals or conceals, you have a lifelong sympathy with young men who have veered off-course.” I love that sentiment – and it formed the basis for a little quilt tribute to Thomas Cromwell, Hilary Mantel, Mike Poulton, and the cast, musicians, production team and backstage crew of the plays that I enjoyed so much. 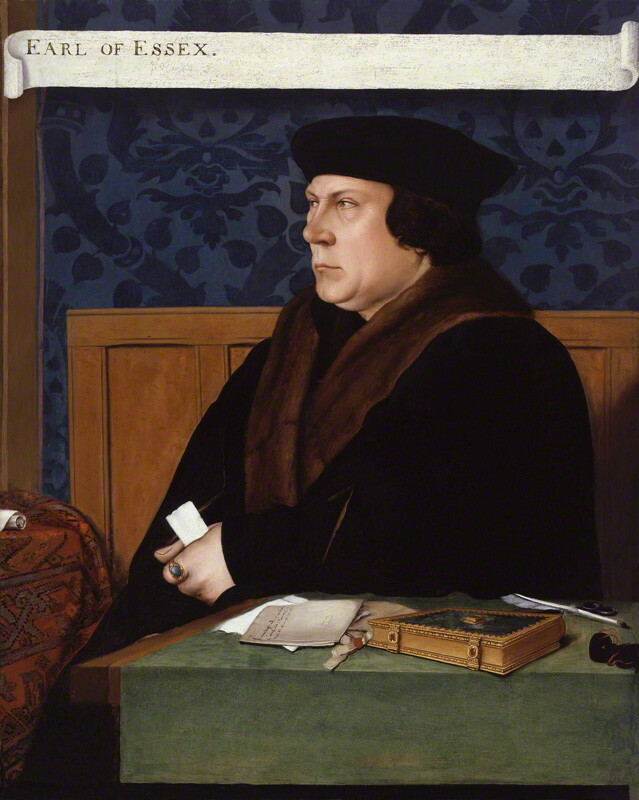 * The image of Thomas Cromwell from the National Portrait Gallery, London is used under the terms of the Creative Commons license.